When it's time to let the music do the talking, you want a loud, clear voice driving your speakers. When it's time to let the music do the talking, you want a loud, clear voice driving your speakers. 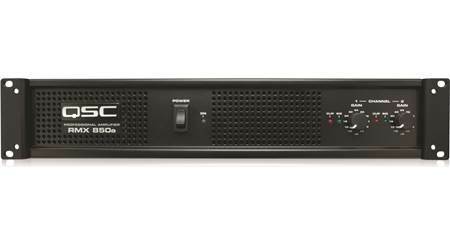 QSCs RMXa power amplifiers give you the power you need to fill your venue with clear, accurate sound. Whether you're working in a hall, a club, or a house of worship, the RMXa Series amps will make your performance speak for itself. The RMX850a 2-channel amplifier delivers 200 watts EIA per channel at 8 ohms, 300 watts at 4 ohms, and up to 830 watts bridged at 4 ohms. Its independent thermal and short/open circuit protection for each channel automatically protects the amplifier and speakers, while the independently defeatable clipping limiters give your speakers even more protection. You can also switch on high-pass filters at 30 Hz or 50 Hz to further protect your speakers from overloading. The front-mounted gain controls offer easy access, and the signal and clip LEDs give you immediate feedback on the amp's operation. 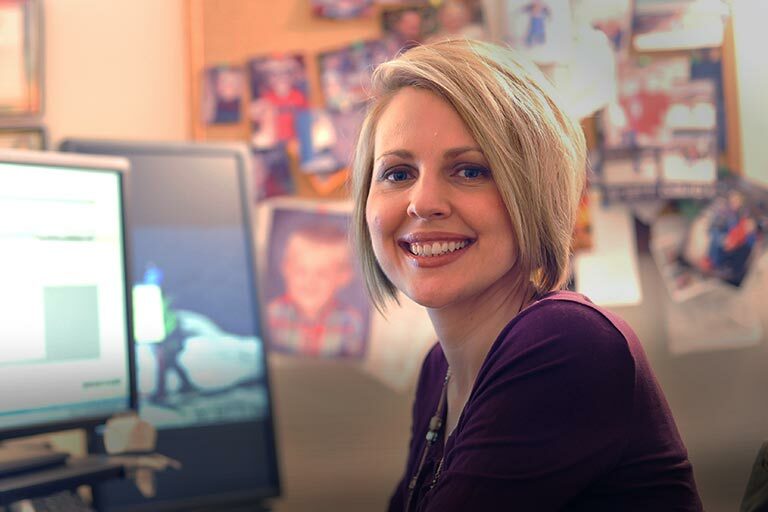 In back, you'll find screw terminal, 1/4", and XLR inputs, with Neutrik Speakon® and binding post outputs. 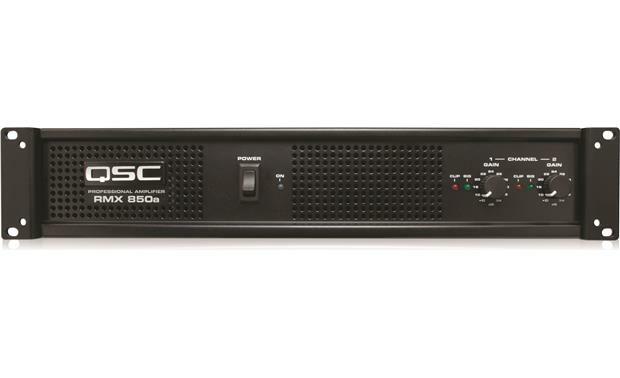 And the RMX850a is rackmountable, so you can gang it with additional amps or signal processing gear. Operation Modes: The amplifier can be set for normal Stereo operation, Parallel input Mode, or Bridge Mono Mode. Stereo Mode: Each channel remains independent; the amplifier may be used for two different signals. Parallel Mode: This setting connects both inputs together; one signal feeds both channels. 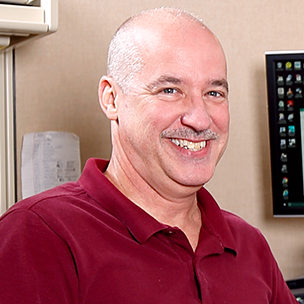 Each channel's Gain control and loudspeaker connection remain independent. Bridge Mode: This setting combines both channels into a single channel with twice the output power. Use only the first channel's input and Gain control. Set the second channel's Gain control at minimum. 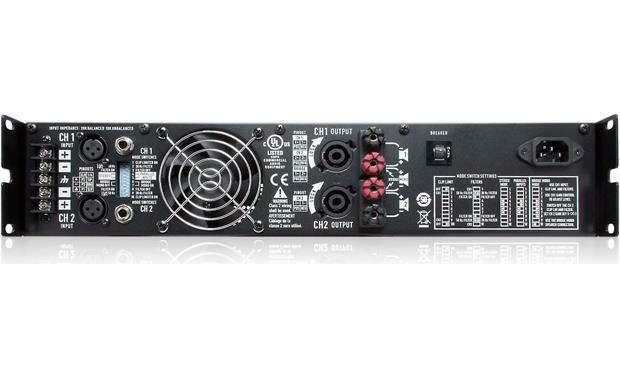 Inputs: The QSC RMXa series amplifier provides XLR, 1/4" TRS, and barrier strip screw terminal input connectors to connect your external audio sources. Outputs: The RMXa series amplifier offers Speakon (NL4) and binding post output connectors to connect your loudspeakers. 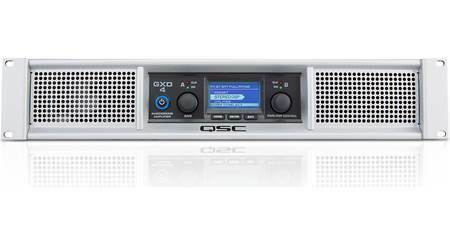 Independent Controls: The QSC RMXa series amplifier offers independent Gain, Clip Limiter, and Lower Frequency Filters for each channel (1-2). These controls are front-mounted for easy access. Gain: Turn the Gain controls for each channel (1-2) clockwise to increase Gain and counterclockwise to decrease Gain. At the maximum setting, the voltage Gain of the amplifier is +36 dB. Clip Limiters: Each channel has a Clip Limiter with its own on-off switch to reduce distortion. The limiter only responds to actual clipping, and automatically compensates for load and voltage variations. Clip limiting is generally recommended, especially to protect high frequency drivers. LED Indicators: The LED indicators on the front-panel of the amplifier can be used to monitor system operation and identify common problems. Power: A single blue indicator will illuminate when powered on; no illumination when powered off. Signal: A green indicator for each channel will illuminate when the input signal exceeds -35 dB. As signal approaches full power, the indicator will illuminate continuously. Clip: A red indicator for each channel will illuminate whenever the amplifier is driven beyond full power. Protect: A single red indicator will illuminate when the amplifier goes into protect mode. Under normal operation, this indicator will not be illuminated. 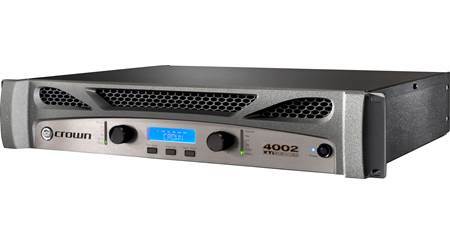 Protection Circuitry: Independent DC and thermal overload protection on each channel automatically protects the amplifier and your connected speakers. Cooling Fan: Cool air is drawn into the rear of the amplifier by the cooling fan. Warm air exits the front of the amplifier. 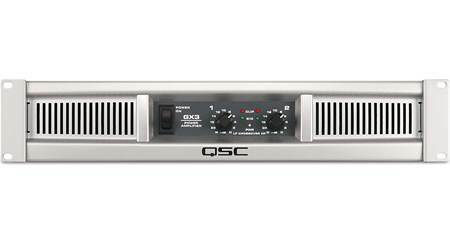 Searches related to the QSC RMX850a RMX Series power amplifier — 200W x 2 at 8 ohms, 830W x 1 at 4 ohm bridged.